The fashion industry has been shocked by numerous big moves made by designers and luxury fashion houses in recent months. We recount the biggest (and often, unexpected) announcements that leave us wondering what's to come next season. The line between streetwear and high fashion has been blurred for some time, and it arguably reached its pinnacle when Louis Vuitton partnered with skateboard and streetwear label Supreme in FW17. To further solidify the fashion house's dedication to the growing market, Louis Vuitton has appointed Off-White's Virgil Abloh as the artistic director of Louis Vuitton Men's. Abloh, a DJ, fashion designer and Kanye West’s former creative director, founded his label Off-White in 2012, and has grown his brand to span over 25 boutiques around the world and is available at some of the most fashion-forward boutiques and online platforms. What Abloh has mastered with Off-White is what many luxury houses are striving to achieve; building creative and successful partnerships with like-minded labels that tap into a new consumer—and there's no doubt that this is a skill will serve his position at the French fashion house well. It was only a couple days after Haider Ackermann announced his departure from Berluti that the former Dior Homme artistic director, Kris Van Assche, was announced to be his replacement on April 3. The Berluti man under Ackermann approached dressing with a more fluid and softer approach, but we predict Van Assche will highlight his minimalistic and structured aesthetic when he debuts his first collection during Paris Men's Fashion Week in January 2019. We've been following Hedi Slimane since his time at Dior Homme, so you can imagine our excitement when LVMH announced he would be joining Céline in January this year, where he will be introducing menswear, fragrance and Haute Couture to the house. Hedi began his career at YSL men's and later finetuned his signature skinny silhouette at Dior Homme. It wasn't until Slimane re-joined YSL in March 2012 (dropping the 'Yves' and ultimately rebranding the entire house) that he debuted his womenswear. While many Phoebe Philo fans have begun to worry where to turn to for their SS19 wardrobes (the Céline stores were practically sold out in almost all runway pieces and shoes during Paris Fashion Week), we're definitely excited to see how Slimane will usher Céline into a new era. Just two short months after stepping down as the artistic director of Louis Vuitton Men’s, Kim Jones revealed he will be taking the helm at Dior Homme. Many insiders speculated he would be moving back to London to take over Christopher Bailey's place at Burberry, but it looks like Jones will be staying in the LVMH family. The British designer joining Dior Homme is one of the first major business moves that Pietro Beccari, the chairman and CEO at Christian Dior Couture, has made just a little over a month into his role—and it's a bold one. Jones, who previously worked for John Galliano, Dunhill, Alexander McQueen and more, has been credited for putting Louis Vuitton Menswear on the map during his 11 years as their men's artistic director. Kris Van Assche and his predecessor at Dior Homme, Hedi Slimane, have both made the men’s label synonymous with skinny suits with a dark, rocker edge. Slimane even released women’s sizes (Petite Taille) for jeans, jackets and other staples. We wonder if Jones will do the same? After all, he counts supermodels Naomi Campbell and Kate Moss as close friends, and we're sure they'll be wanting a piece of Jones’ Dior Homme. Riccardo Tisci’s move to Burberry was something that came out of left field; it was unexpected and almost unimaginable. Tisci has been at the House of Givenchy for a decade and has developed it into the brand we recognise it as today. Even so, he would make a great addition to Burberry. Tisci began his role as Burberry’s chief creative officer a little over a month ago on March 12, and his first collection will debut during London Fashion Week in September. Tisci’s take on streetwear will definitely be a valuable asset to the British heritage label. After all, Burberry has continuously looked to appeal to a younger audience with spokesmodels of the house such as Cara Delevingne, as well as collaborations with a new generation of designers, like Russian designer Gosha Rubchinskiy. The former creative director of Roger Vivier, Bruno Frisoni, has been at the helm of the French accessories label for 16 years, so it was a shock to hear of his departure as he presented his final autumn/winter 2018 collection in February during Paris Fashion Week. 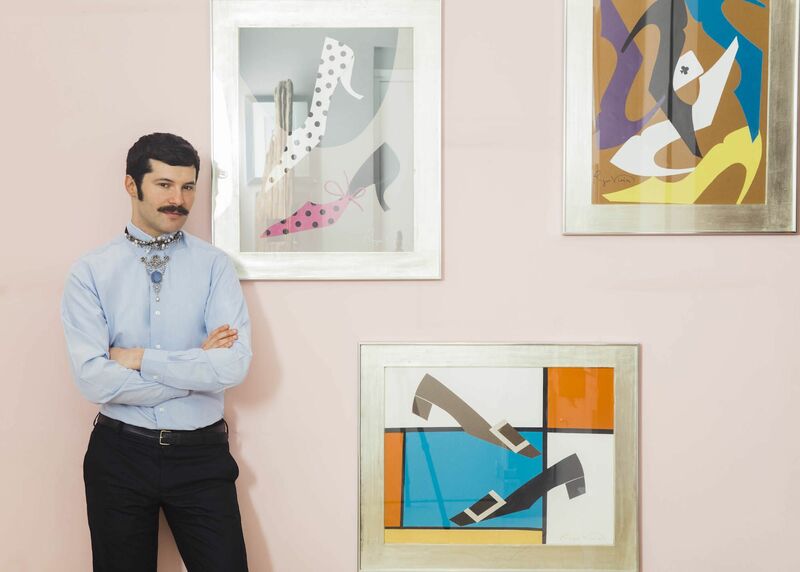 Gherado Felloni, who has worked under Miuccia Prada at Miu Miu, and previously at Fendi and Dior, will be taking the reins and presenting his debut collection in September this year. “Roger Vivier is the absolute reference of luxury shoes,” Felloni shares, “I feel honoured to be part of Roger Vivier today and develop it further, respecting its heritage and tradition while adding a contemporary and modern take”. Frisoni has been credited for reviving the heritage label and the Pilgrim buckle one of the most recognisable shoe accents in recent years. Vivier himself created the first pilgrim buckle shoe worn by legendary French actress, Catherine Deneuve, in Belle de Jour (1967). When Kim Jones signed onto Dior Homme, we didn’t expect him to bring some of his nearest and dearest with him to the LVMH label. Jones took to Instagram on April 5 to announce that Ambush Design's Yoon will be joining him at Dior as the new jewellery designer. Launched in 2008 by design duo Verbal and Yoon, Ambush has become one of the hottest jewellery labels to come out of Tokyo. The label has previously collaborated some of the most recognisable names in Tokyo fashion including Nigo of A Bathing Ape, Jun Takahashi of Undercover, and Chitose Abe of Sacai. Ambush also counts Pharrell as a fan of the house. Yoon’s debut jewellery designs for Dior will complement Jones’ first collection of ready-to-wear, which will debut in Paris during Men’s Fashion Week this June.